The Resident Tourist: Here Comes the Sun . . . There's nothing better than looking at your weekend forecast on a Friday morning and seeing bright yellow suns straight across. NYC looks like it's going to have it's fair share of great weather this weekend, which I couldn't be happier about! 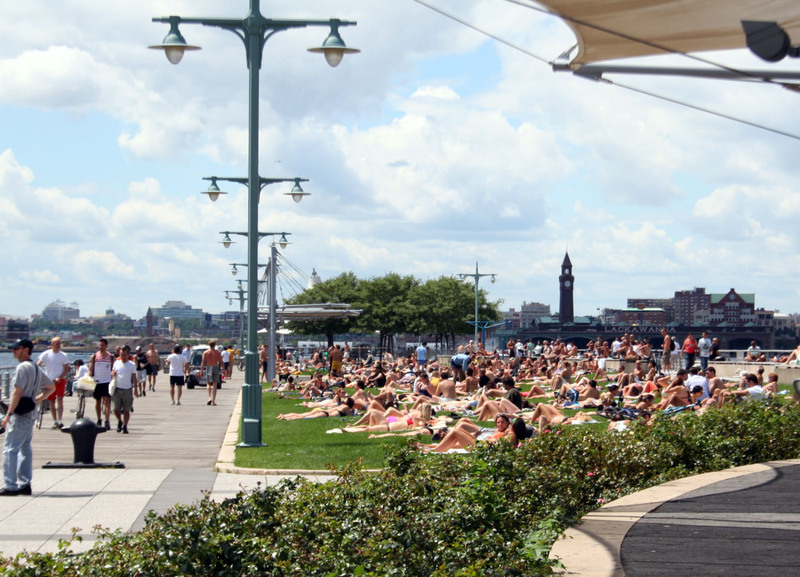 After a lingering winter I know this means everybody is going to be out and about, soaking up as much sun as possible. I hate to admit it but I was never the best when it came to sun care in years past. Since I've started on my new medications I've had to be extra careful about catching too many rays - so now I always make sure to slap on some sunscreen before laying out. And really, it's so much better for your skin in the long run, I don't know what I was thinking before. 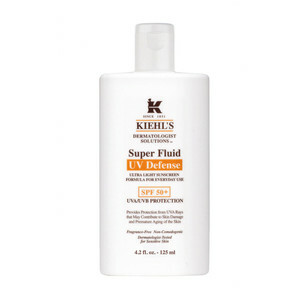 My all time favorite SPF is Kiehl's Super Fluid. It's weightless and non greasy, super protective (five different sun filters! ), and rubs on smoothly. Inside tip: shake well before using, those five filters settle out when the bottle has been sitting. Available at department stores and all Kiehl's shops. For those of you in New York, check out Guest of a Guest's guide Where to Sunbathe in NYC: Seven Secret Outdoor Spots to Soak Up the Sun ...in case you don't feel like running into every single person you know at Sheep's Meadow. Just don't forget to lather on some UV Defense before going out.